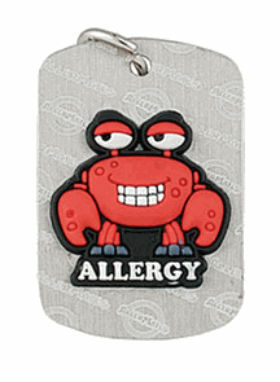 The tag is silver in colour and features funky Crabby character that boys and girls love. 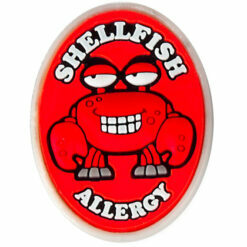 Shellfish Allergy Tag with funky Crabby character that boys and girls love. It comes with a 16″ stretchy purple silicone necklace cord, the necklace is 100% latex free.